your office in 21 days or less! monitored and reported to the management and quality review teams. Our workflow processes ensure your cases are completed consistently and accurately according to your deadlines. presentation skills, each prospective expert is carefully reviewed to match your exact specifications. 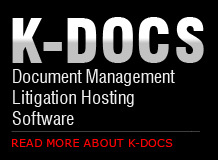 K-Docs, created specifically for SLP and its clients, provides unique solutions to document management. As a repository and web browser-based retrieval solution, data is secure and fully accessible from any computer with Internet access. 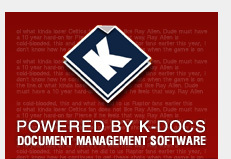 This allows multiple users at multiple sites to view, print, download, and email or share information, 24/7. Recognized for excellent service and history of accuracy, each court reporter is qualified as a Certified Shorthand Reporter (CRS). Each of our professional, seasoned court reporters has between 10 -15 years experience -- this equates to a higher accuracy record when it comes to the details of your case. SLP’s management team and a large percentage of our records and legal nurse teams have been directly involved in most of the major Pharma and device litigations that have taken place in the past 15 years. This experience has allowed us the opportunity to refine processes, apply technology, and to learn from previous litigations in how to be the most cost effective solution available. Our professional management team has expansive experience in managing and supervising the challenges inherent to large volume litigation including the ramping up and down process associated with mass tort litigation. Our staff provides detailed deposition questions to assist you in gleaning pertinent information during depositions. Summaries are written by a skilled team proficient in condensing depositions into a concise format, capturing substantive testimony.